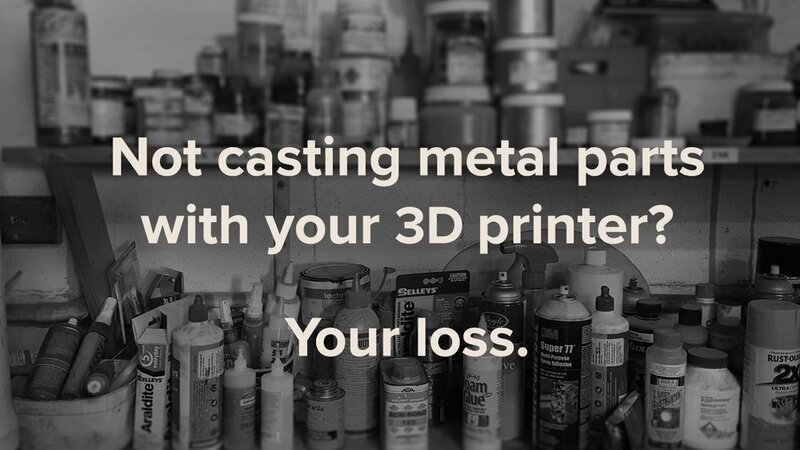 Loss Casting with PLA — 3D Printer Filament - STANDARD PRINT CO.
Dream of designing and printing things in a material more durable than plastic? Your Bronze Age ancestors sure did. Dream of being a modern day blacksmith, pulling glowing chunks of pure design excellence out of your very own mould? Well I’m sorry; we at Standard Print Co. can’t help you actually do any of those things. But we can point you in the right direction. Introducing lost PLA casting – mould casting with PLA prints without the use of hot wax. Don’t know what lost mould casting is? We’ve got you covered. Lost mould casting is the process of creating a duplicate of the object that one wants cast in metal, first in wax. The wax duplicate is then encased in silica slurry and grit combination resistant to the heat of the molten metal. The wax is melted out and the molten metal poured in and allowed to cool. Finally the mould is broken or “lost” to reveal a cast metal duplicate of the original object. What does 3D printing have to do with this process? Well, in order to create a duplicate of an object in metal, the object previously had to first be reproduced in wax. If what you wanted to cast in metal wasn’t a wax object, it would mean another lengthy process of moulding the original object in something like silicone, then filling the mould with wax and finally creating the wax duplicate before one even begun the lost wax process described above. Enter the 3D printer and PLA. While the process of lost casting isn’t new, a few dedicated individuals from the Solheim Additive Manufacturing Laboratory have taken it upon themselves produce a guide for PLA lost casting which you can check out here. If you don’t have a couple hundred thousand to splurge on a SLM printer and want to channel your inner blacksmith, with a couple of hundred dollars in smelting gear and some dedication and of course a roll of the highest quality filament you can find, PLA lost casting might be for you.